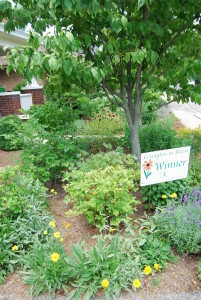 Winners of the 2014 Lexington In Bloom contest, the biennial beautification competition sponsored by the Lexington Council Garden Clubs, have been announced. The contest recognizes outstanding amateur and professional front gardens of residences and businesses throughout Lexington. Criteria for evaluating the gardens include curb appeal, use of color and texture, maintenance, plant selection, garden design, and creativity. Along with the traditional winners, the contest included categories for small displays; vegetable gardens; native plantings and butterfly & rain gardens; neighborhood entrances; community gardens; and schools, churches, and nonprofits.